I would like to take this opportunity this festive season to send you all a big warm hug wherever you are in the world! I particularly like this quote from Burton Hillis. "The best of all gifts around any Christmas tree: the presence of a happy family all wrapped up in each other." What are some of your favourite Christmas quotes? Wishing you a peaceful, happy and creative New Year! It's unbelievable how Halloween has sneaked up on me this year, where has that time gone? 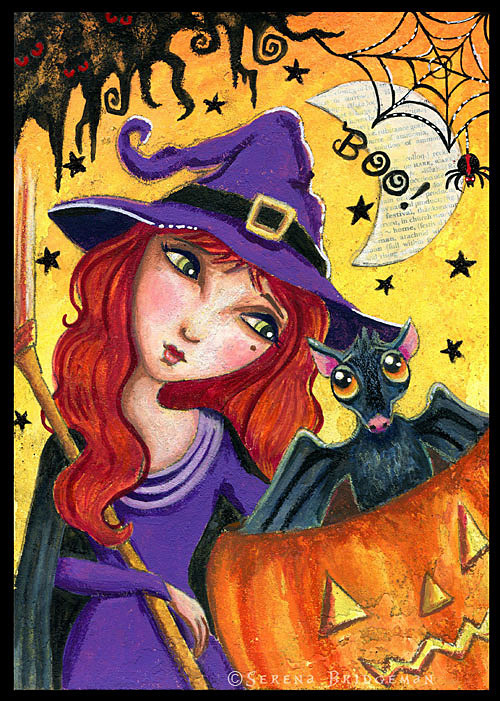 Witches and bats never go out of fashion for Halloween right? 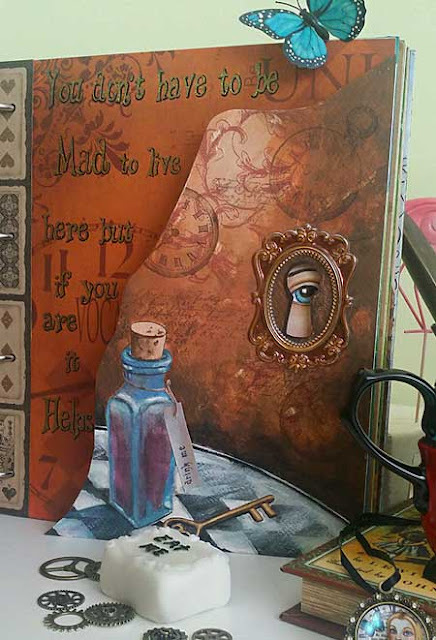 So, here is a throwback mixed media journal page. 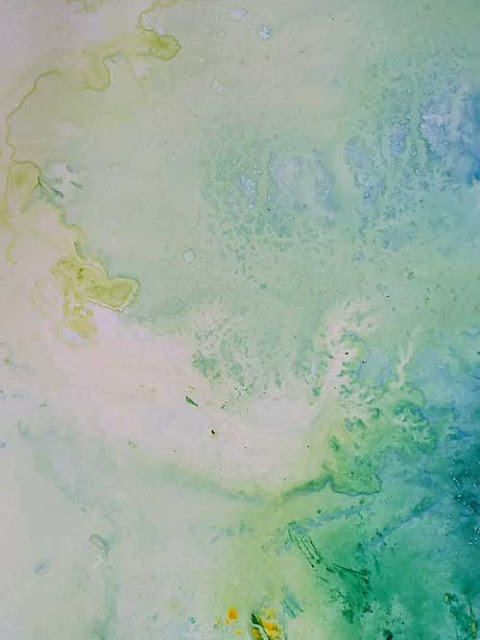 For anyone starting out with mixed media, I would highly recommend you invest your money in good quality paper, at least 140lb/300gsm weight. Believe me it will save you a lot of frustration! That is what happened with this Halloween painting. 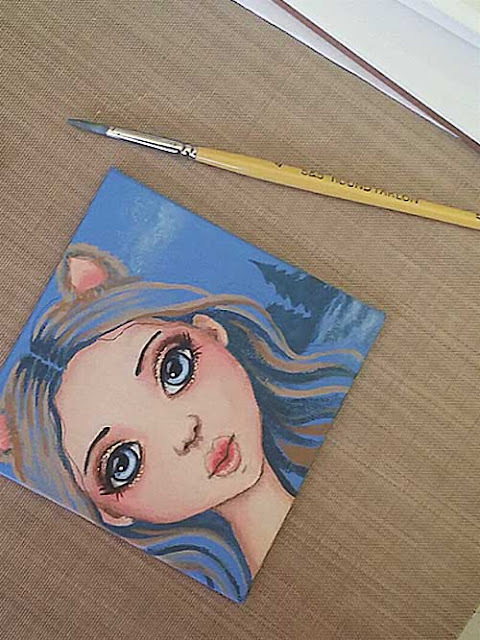 Water soluble crayons were mostly used on this piece along with a little acrylic paint. 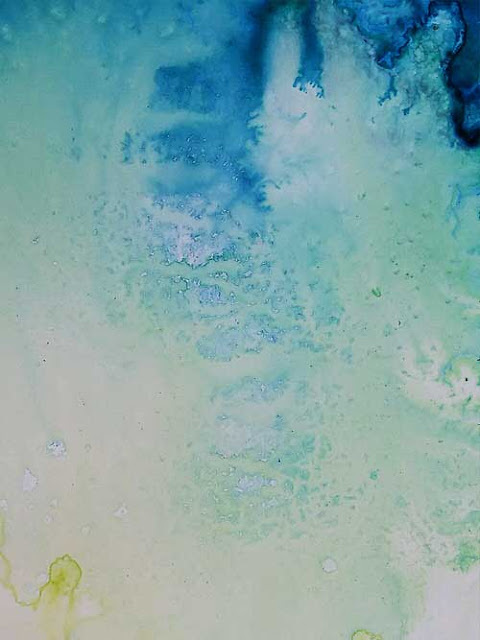 Everything was going fine with the background colour until I added the water. Then I got the worst paper pilling, meaning the paper started breaking up and causing little nubs of paper all over. Well...at that stage I could have chosen to throw the piece away and start afresh but my first reaction was to try and save it. 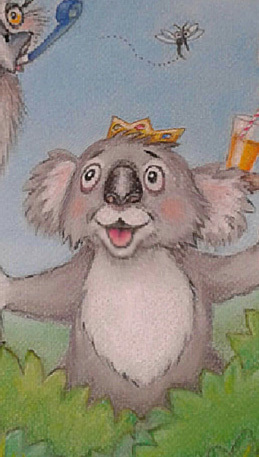 I gently removed as much of the paper nubs as I could and then covered the page with a thin layer of soft gel medium. It worked! I think the texture on the page has added to the Halloween feel. I was lucky that time and have learned my lesson since! 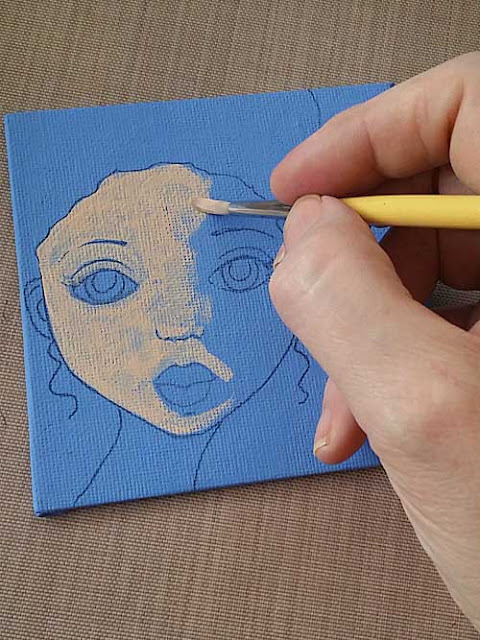 Have you had any unexpected things happen to you in your art making and how have you solved them? Happy Halloween and enjoy the rest of your week. 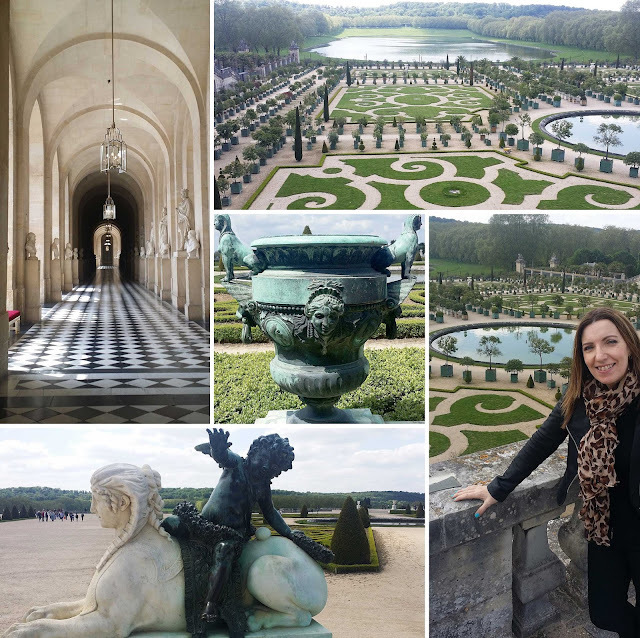 After spending a day at Monet's House and Gardens, my husband and I were up again bright and early, this time our destination was the Place of Versailles. Marie Antoinette's life as the last queen of France has always fascinated me, with her over the top lavish lifestyle. 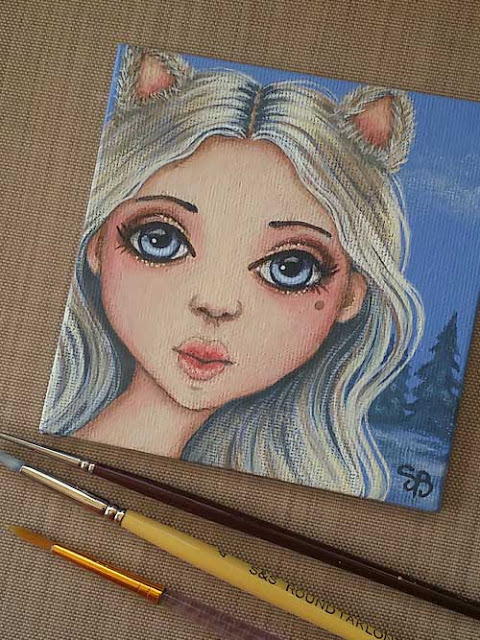 So, I thought it only fitting that this little 4x4 mini acrylic canvas painting should have real gold leaf in the background! 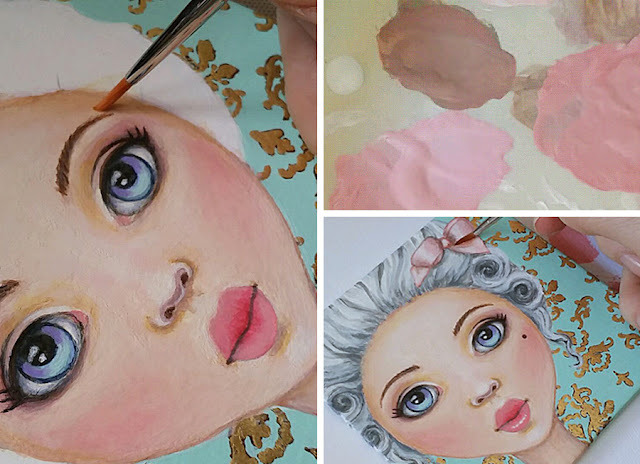 Lavender was among one of Marie Antoinette's favourite colours, I have incorporated that into her eyes. 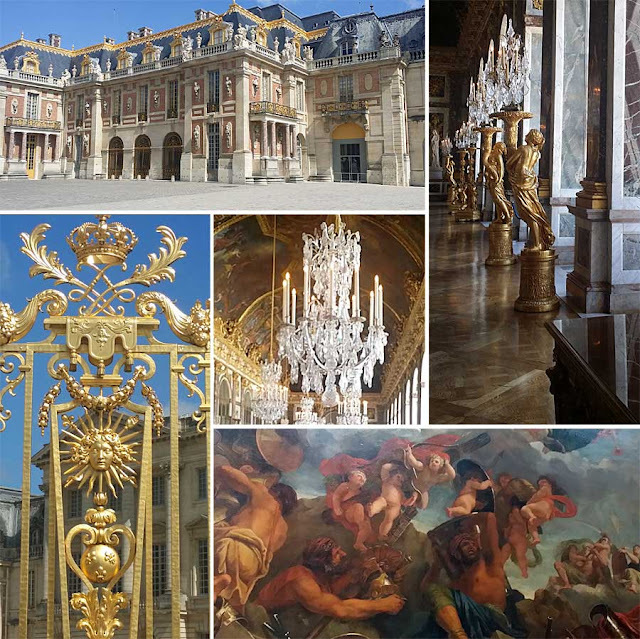 We were in awe at just how extravagant her lifestyle was, every turn in the palace was adorned with magnificent paintings, murals, tapestries, chandeliers, carvings, mouldings, marble, mirrors and of course gold and more gold! We knew the palace and gardens were extensive, but we had no concept of just how vast they actually are until we had to walk them! 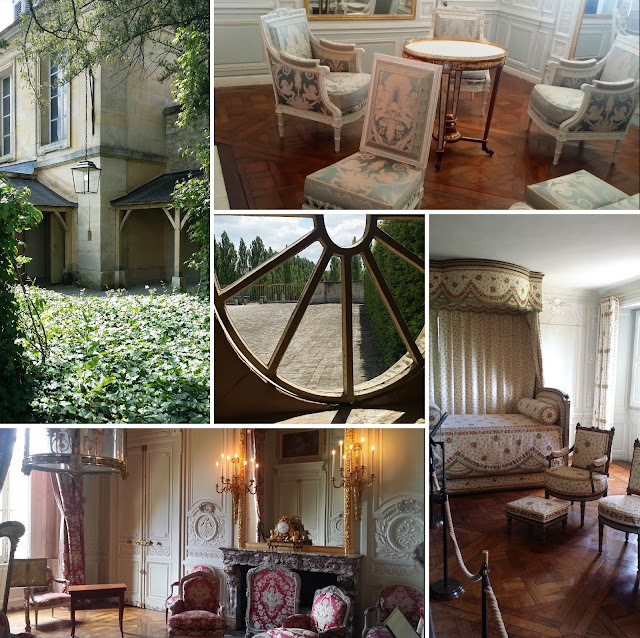 We took the 15 minute shuttle train to Marie Antoinette's Petit Trianon located within the palace grounds. This was Marie's house where she liked to go to in order to escape the court's etiquette and gaze. 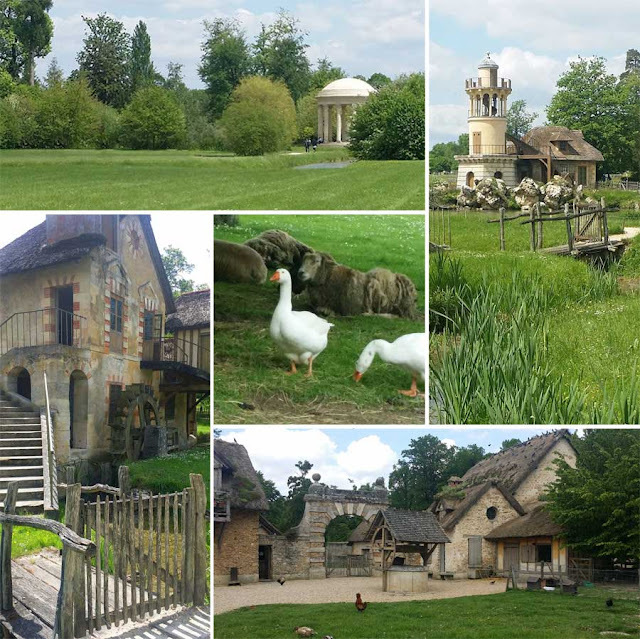 Marie Antoinette commissioned the Hameau de la Reine, a rustic retreat near the Petit Trianon, with a working farm and dairy, cottages, watermill, tower, lakes and gardens. Seemly the queen and her ladies-in-waiting would dress up and pretended to be peasants! Is it no wonder the starving French people revolted? We loved our time at the Palace of Versailles, I was continually asking myself as I roamed through the grounds and halls - 'would the king and queen have walked or stood here? or walked along these paths or corridors?' Whatever your thoughts on Marie Antoinette, can we agree she was indeed an intriguing character?! What are some of your top historical destinations to visit? As mentioned in my previous post 'Looking for Wonderland', we went back to Ireland for our eldest son's wedding. Our trip was magical in more ways than one! Have you ever met your idol only to be disappointed? Not in this case, my idol since my teenage years has been the famous impressionist painter Claude Monet. I felt incredibly lucky to stand in front of his paintings in Paris some years later. 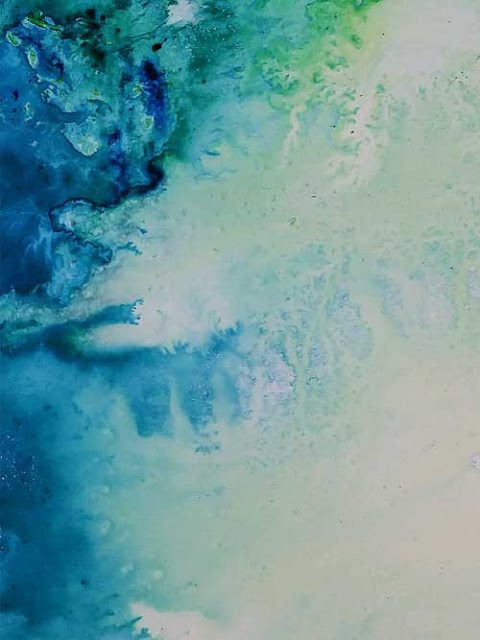 Taking in every stroke and movement of colour, getting lost in his beautiful waterlily masterpieces. Lady luck would appear to be on my side once more as myself and my husband got the opportunity to visit France again on this recent trip. Of course, Monet's House and Gardens was top of the list. We took advantage of the glorious weather, hired bicycles and cycled the 30 minutes to Giverny. Now...it has been about 23 years since both of us were on bicycles, so as you can imagine we were a bit shaky and wobbly to say the least for the first few minutes. We soon found our balance, breathing the fresh air and taking in all the delights the French countryside had to offer. Monet's House and Gardens was all I expected and more! No wonder Monet spent a lot of his time there, I would not want to leave either! 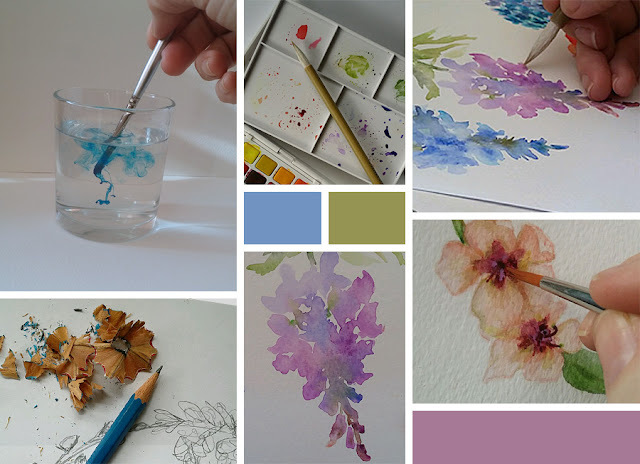 Surrounded by so much colour and beauty in the gardens, I was inspired to do this little watercolour flower wreath. 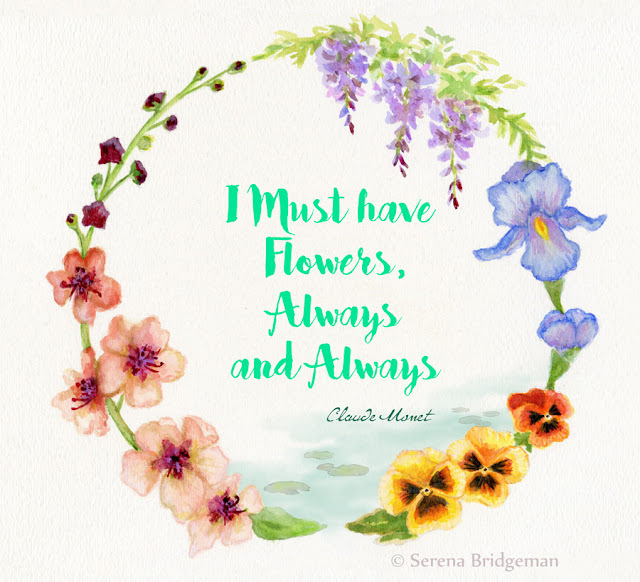 I have to agree with Monet's quote " I must have flowers, always and always". 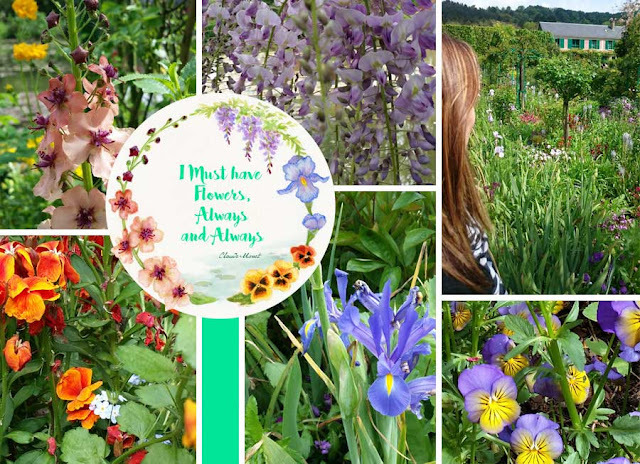 I could never tire of looking at all of the amazing flowers mother nature has to offer, no matter where I am. 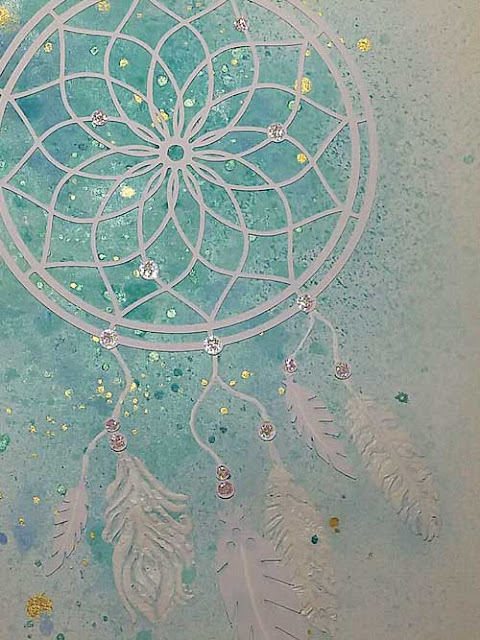 Trying out ideas and colours with my lovely watercolour set I was given by a gorgeous artist friend. We took many photos while there, here is a small snippet of them. 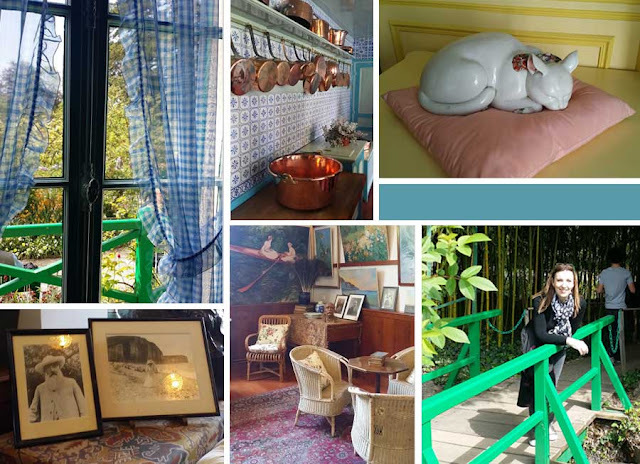 Monet was a big fan of colour, which was evident throughout the house and gardens. 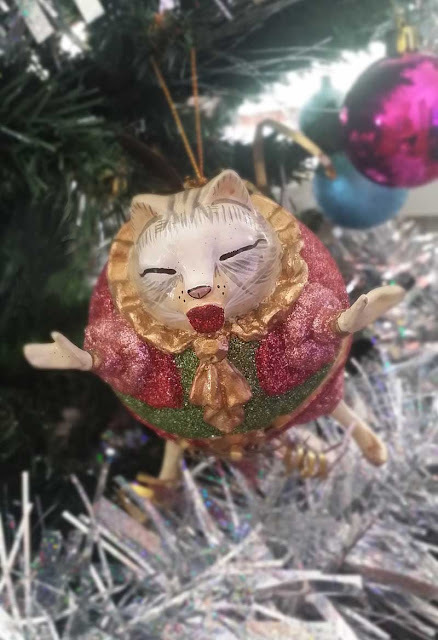 The cat sculpture is for my sister, she loves cats! I had to include these two adorable diorama boxes they were selling in the gift shop. Look at the detail, just amazing! I would love to have brought them home with me, however, I am very content with the happy memories of our time there. Have you any special places or things you would like to tick off your bucket list? I decided to try out a new format with the photos, leave a comment and let me know what you think. Enjoy your weekend, I hope you can join me next time for our visit to Versailles. Anyone for tea? 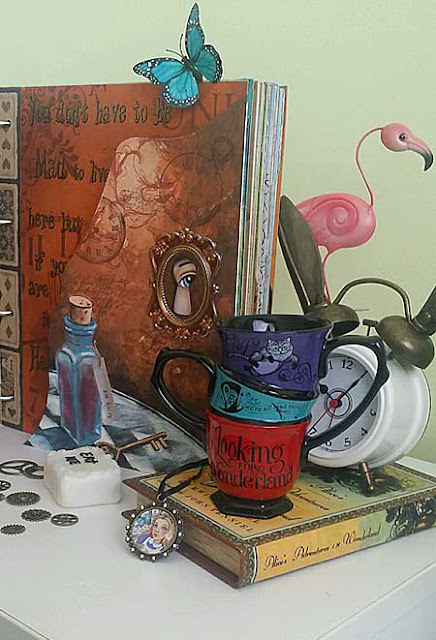 Look at the fun and quirky Alice in Wonderland teacup I brought home from a recent trip overseas. 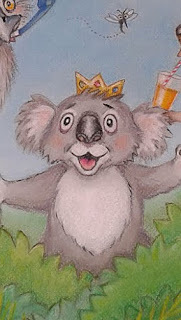 I have mentioned on a few blog posts how I love all things Alice! As you can see here, I have a nice little collection going. Isn't the bunny ear clock adorable? It was given to me by a good artist friend Dea in the USA. 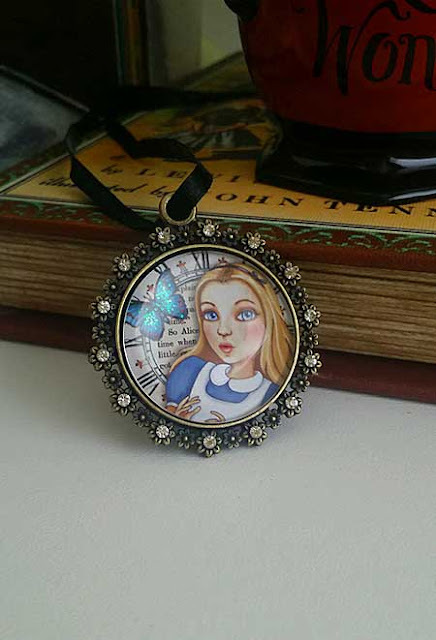 I thought I would mix old with new and make this pretty Alice pendant necklace, inspired by Tim Burton's new movie 'Alice through the Looking Glass'. If you enjoyed Tim Burton's 'Alice in Wonderland', then you will also love this movie. 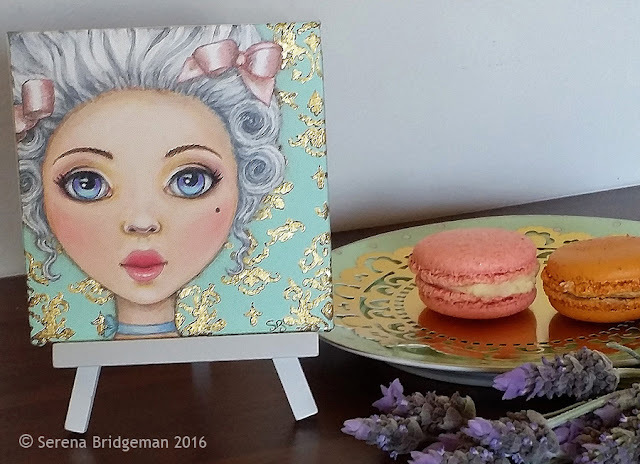 Alice is from one of my own illustrations, ephemera completes the look. I tried to capture the blue butterfly's sparkle, which I hand embellished before adding the clear cabochon, but I am not sure if this ornate jewellery setting completely suits it or maybe a plainer one would have be better. What do you think? 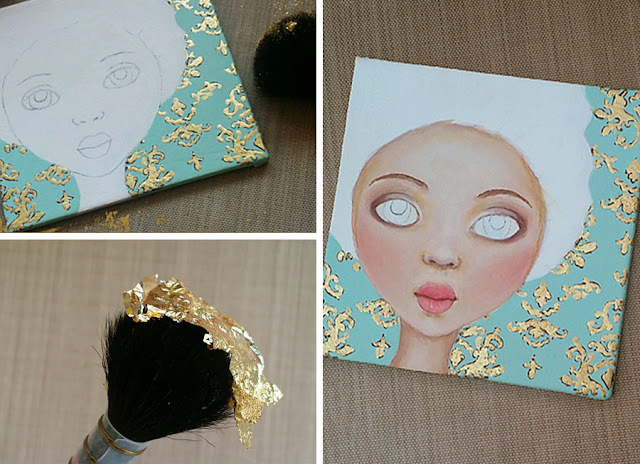 It's been a little while since I last blogged. 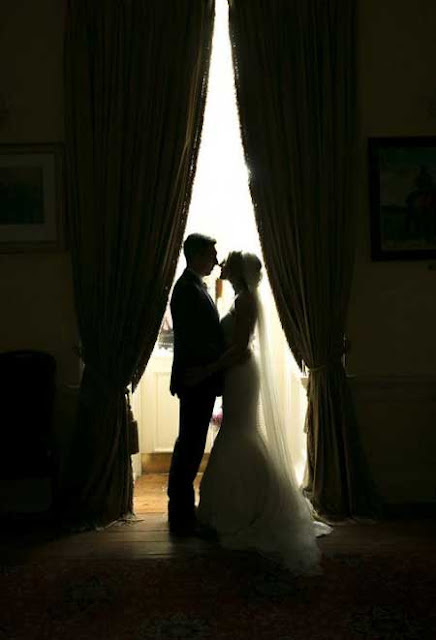 In that time, I have spent a couple of months in Ireland for the wedding of our eldest son. It was a perfect day, shared with family and friends, everyone agreed...what a gorgeous couple they make! We also took a trip over to France. More about that on upcoming posts. 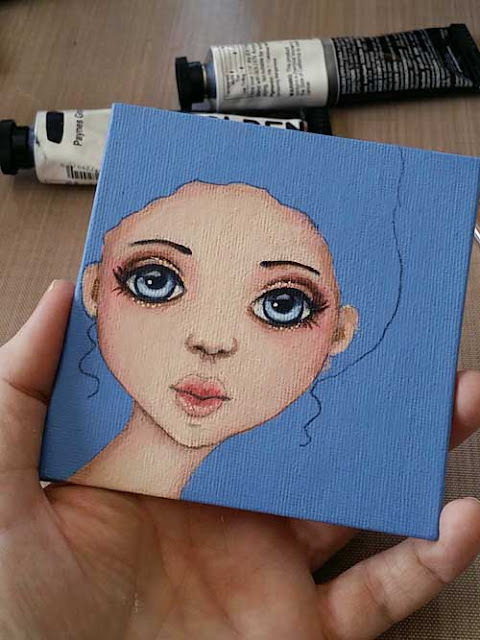 I would love to hear what creative projects have been keeping you busy or what are some of the things or people that have inspired you in your creative journey? I just wanted to hop in and wish everyone a Happy Easter! 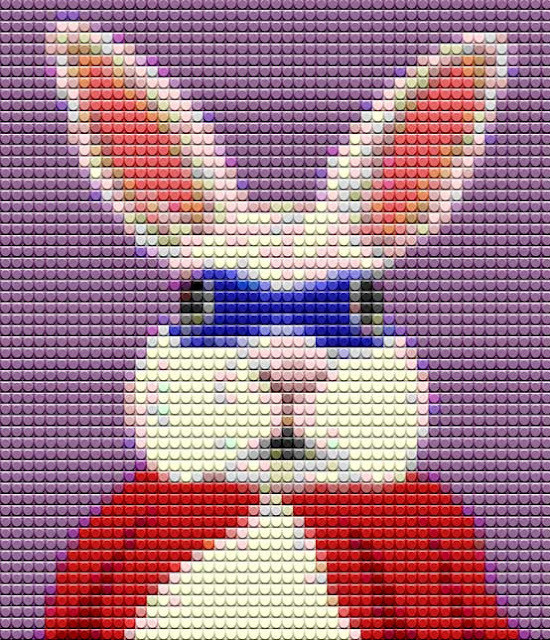 Meet Super Hero Bunny. 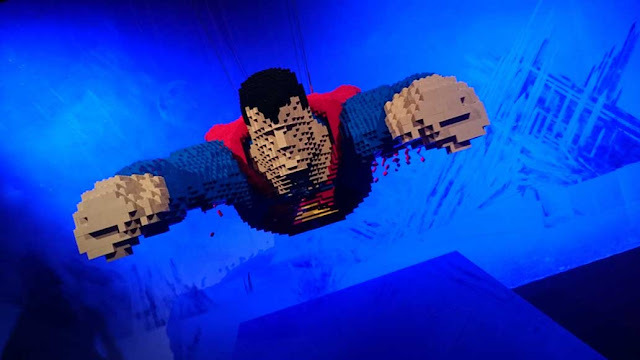 I was inspired to do a fun Lego look image, after a recent visit to The Art of the Brick: DC Comics Lego Exhibition in Sydney. If you would like to try out your own images in this style, you can either follow Blue Lightning TV's excellent Photoshop's tutorial, or there are many apps available to do a similar thing! Be quick! 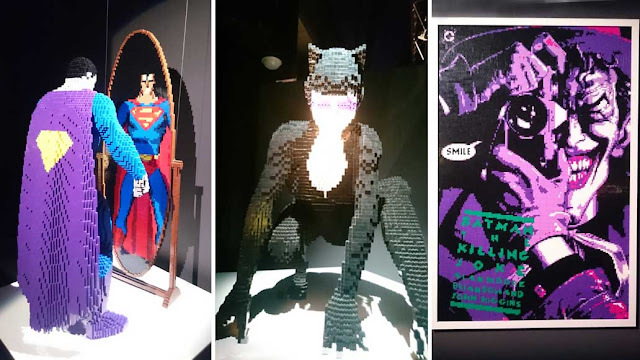 The Art of the Brick: DC Comics Lego Exhibition in Sydney runs until 1st May 2016. Try and visit it if you can, it is Super Cool!! I promise big kids as well as small kids will love it. 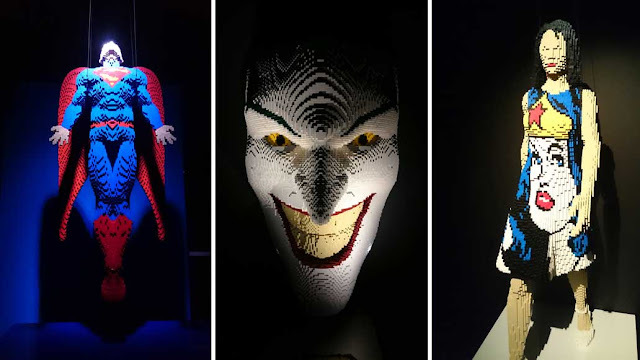 We were amazed and in awe of all the Super Hero and Super-Villain sculptures set amongst the ten galleries with a good vs. evil theme. There is a promise of a large Batman and Superman sculpture called "Showdown" in the final weeks of the exhibition. It coincides with the Australian launch of Warner Bros. Pictures film Batman v Superman:Dawn of Justice. 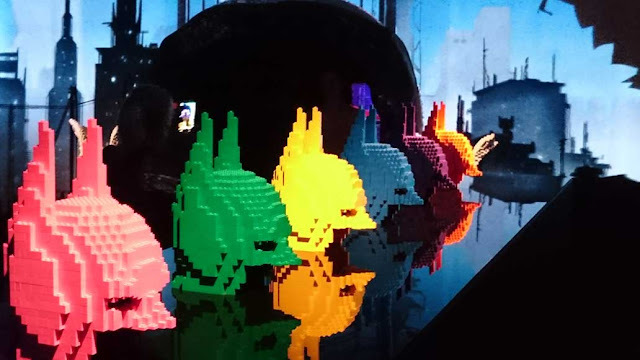 Here are just a few of the incredible sculptures to see at the Powerhouse Museum, Sydney. Have an Egg-stra Yummy Easter Holiday! What's Sew Good about Frida Kahlo? What's Sew Good about Frida Kahlo? Well...everything if you are a Frida fan! I have mentioned it before on the blog that my sister and I fall into that group. 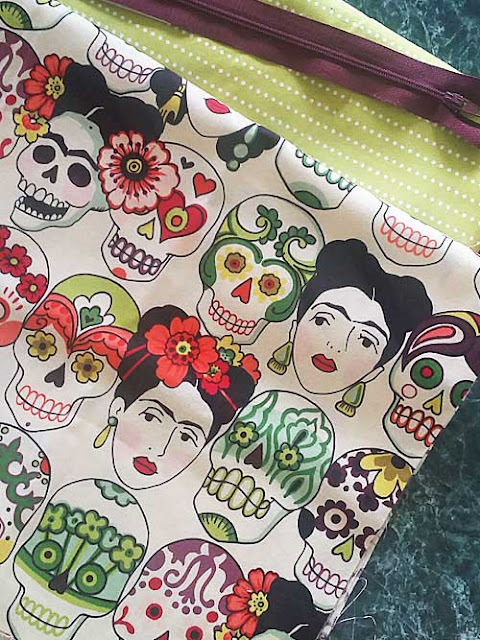 I spotted this quirky Frida Kahlo fabric at a craft fair and knew immediately just what I was going to do with it. 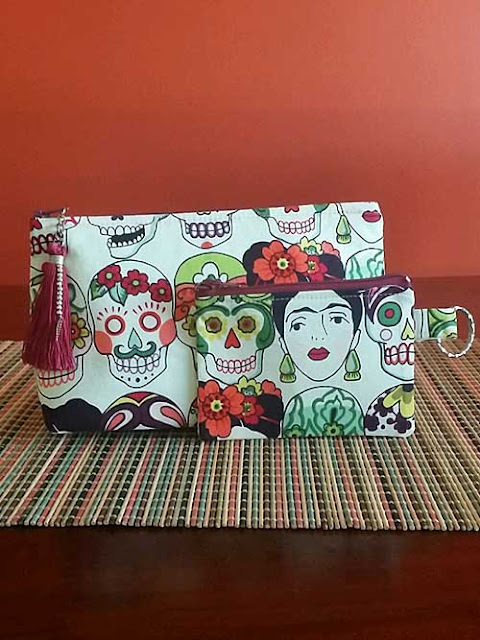 A cosmetic bag and coin purse for my sister's birthday! I was lucky in finding coordinating lining, zippers and tassel. 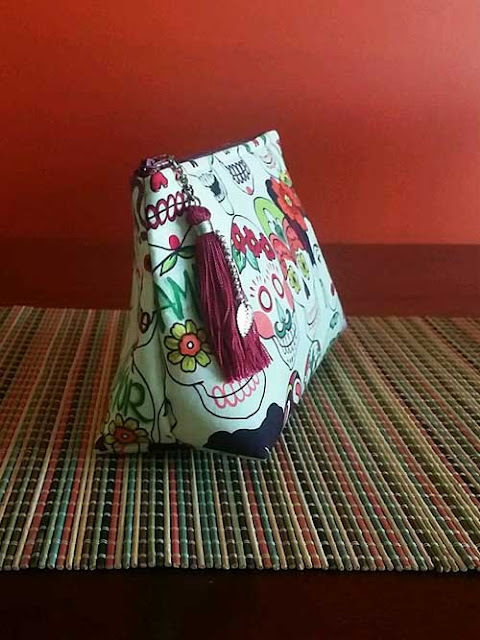 A free video tutorial and pattern for the cosmetic bag on So Sew Easy helped make it an easier task. 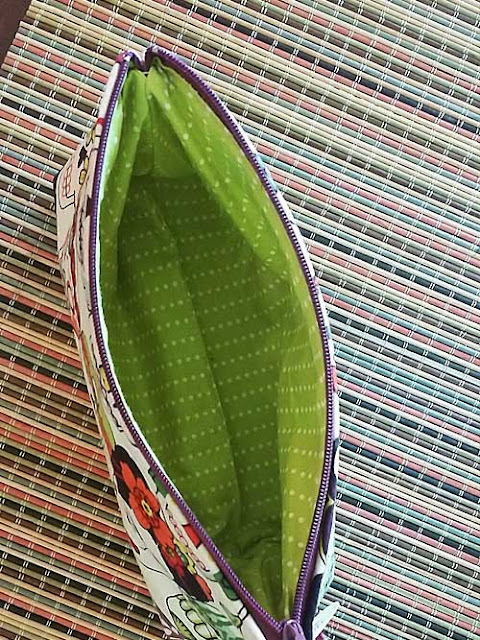 The coin purse video I found on Professor Pincushion; I confess I did wing it and made my own template to suit the size I wanted. We went down to Sydney for my sister's birthday and her reaction when we gave her gifts was priceless. 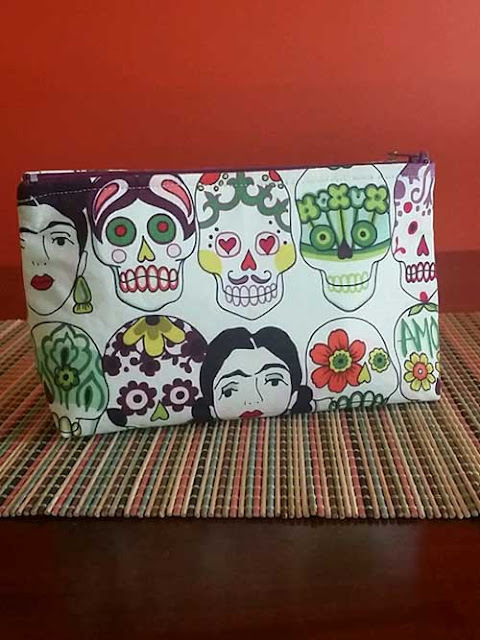 I am happy to say she loved her Frida cosmetic bag and coin purse. No time to waste, as I am still working on scrapbook pages for our daughter's 21st birthday. 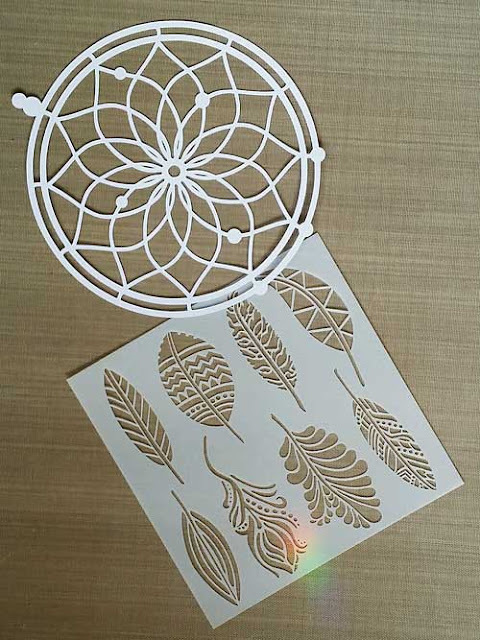 In my previous blog post Dream Catcher, I showed some of the page elements I was thinking of doing. I can show you a section of that mixed media page which is turning out really dreamy and pretty. I cannot reveal any more than that as our daughter gets the blog's notifications. Hopefully, she will enjoy flipping through her album when it is finished. If you would like to receive SerenArty's free blog updates, sign up on the right sidebar, it's super quick and easy! 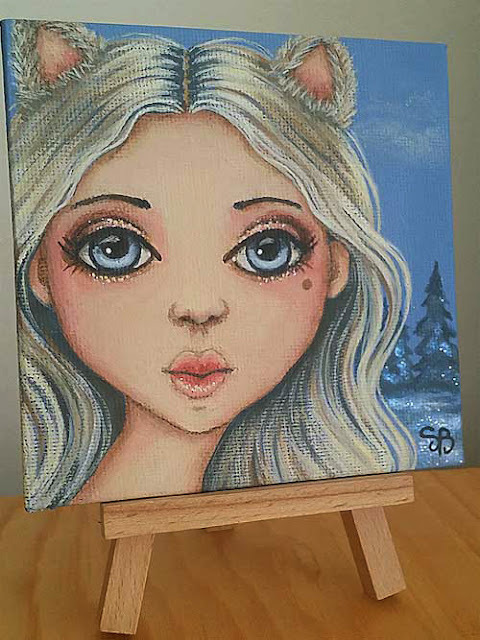 Consider yourself extremely lucky if you catch a glimpse of this silver fox, folklore says she takes on human appearance from dusk until dawn and lives on the edge of an enchanted forest. She can be quite mischievous and likes to play hide and seek. You have to have your wits about you as she moves swiftly under the cover of night. As another year draws to a rapid close, it is often a time of reflection. For my family and me it has been a year of ups and downs. Recent events around the world have also saddened me to the core. I really think I have gained some silver hairs along the way! I much prefer to dwell on the happier moments, what can I say, I am a glass half-full type of person. The wonderful news of a new baby nephew born before Christmas was one of the highlights. I am very grateful for the love, support and help of family and friends, far and wide. A simple 'How are you doing?' or 'Are you ok?' Was enough to see me through some of the difficult times. My wish for you and your family is for a healthy, happy and peaceful 2016! Remember to hold your loved ones a little tighter, tell them you love them often, be grateful for the little things, always be kind to one another and embrace life!